Avantgarde Jewellery is a design orientated factory and Thailand Sterling Silver Jewelry Manufacturer. Our factory is based in Thailand, approx. 1.5 hours drive out of Bangkok. 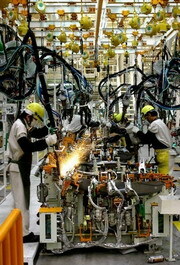 The company employs about 100 people. The key staff including the design team are Irish, British, Italian and fellow Europeans. Our design team continually researches the fashion trends From New York to Tokyo. We regularly visit the shows in London, Milan, Venice and at on occasions to New York & Tokyo. We feel that this gives us an important edge over many of our local competitors who perhaps do not have such an intimate knowledge of the markets that they are supplying and are perhaps not design led in the way that we are. At Avantgarde Jewellery we pride ourselves on both the quality of our product and on our ability to build strong partnership relationships with our customers. In making this a priority it ensures that we are able to develop ranges that best suit our customers’ needs at a price tag that they require. We have done this successfully with a number of chains and boutiques in the United Kingdom, America, Germany and Japan. We pride ourselves on having a customer led ethos in which we seek to build up lasting relationships. To this end we work closely with them to produce quality products for their own individual customer base. We are particularly strong in this area. The management of Avantgarde are strict on detail. Our policy is to produce great quality designs that are sought after and affordable. We aim to work with you and for you. The company uses the most up to date equipment and this coupled with the fact that we manufacture our own products gives us the ability to develop new designs very quickly.